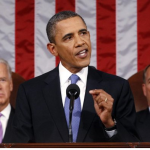 Will Obama’s Jobs Speech Raise Rates? Last September 8, 2011, 31 million viewers all over America watched President Barrack Obama give a speech in a live broadcast over the issue of creating more jobs in an attempt to counter a worsening economy. The speech focused on the American Jobs Act, which is a $450 billion package containing a mix of spending and tax cut proposals. Many viewers were speculative over whether the speech would provide opportunities for better employment and if it would do anything to help the economy, but it appears opinions were divided as to whether the speech is really going to give America what it needs. An analyst and economist, Marc Faber, who is also the author of “Gloom, Boom and Doom Report” said that the speech was “another complete failure of Keynesian economics and corrupt interventions”. He further said that the speech was nothing short of a “joke”, since it seemed to focus even more on spending rather than cutting expenses. So what exactly was in the speech and how does it plan to help reduce unemployment? One of the solutions presented by the President is to give tax cuts to small businesses should they decide to hire or give raises. Another is to give extensions to jobless benefits. However, payroll tax cuts may not have any significant effect on consumer spending, and all it will do is cost the US Treasury a steep $175 billion. Plus, it doesn’t help that the American Jobs Act will be paid for in the “future”. Because of this program, government spending will be cut by $1 trillion over the next 10 years. Who knows what will happen until then. Without new economic data to guide the markets, mortgage rate changes will probably be affected only by this speech. However, with the differing in opinions and everything based on speculation and hope, there is not much change to be expected. Mortgage rates still remain at all time lows, however there are some indications this will not remain as so for long.